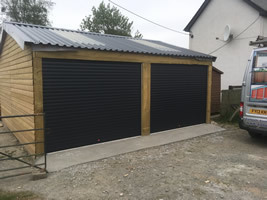 A&A supply and fit roller garage doors in Western Super Mare and surrounding Devon. 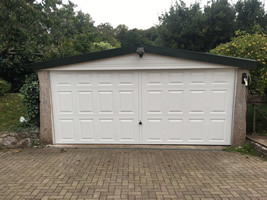 Call 01934 886602 for your no obligation quote. 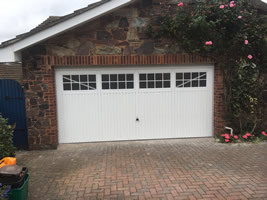 At A and A Garage Doors "we love Roller garage doors" and for the last 30 years have succesfully installing roller shutter garage doors for home and business owners in Western Super Mare and Devon. 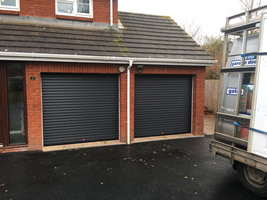 As a Garage door company working in Western Super Mare we understand the importance of a Garage Roller Door has on any home or business. 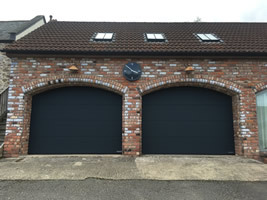 Which is why, A and A are a registered member of the Door & Hardware Federation Quality Mark. 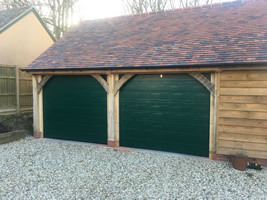 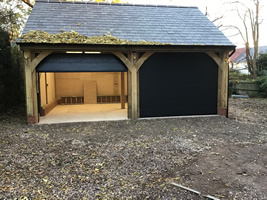 Just one of the main reasons why our customers believe A and A Garage Doors to be the leading Roller Garage Door supply, installation and repair company for Western Super Mare and the surrounding areas. 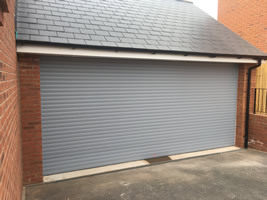 What are the benefits of having a roller garage door on my Western Super Mare property? 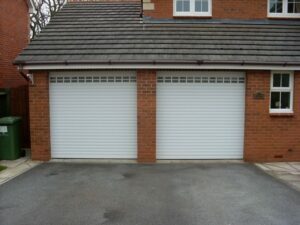 Call our specialists garage roller team now on Western Super Mare 01934 886602 for your no obligation quote. 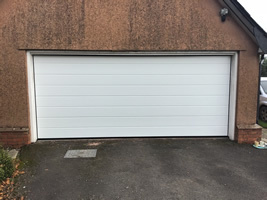 The best way to find out about the costs and to understand the options available and all the costs involved from supplying and installing the new door, call us on Western Super Mare 01934 886602 and talk to one of our Garage Door Team. 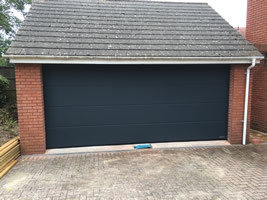 Do A & A Garage doors supply and install industrial Garage Doors around Western Super Mare? 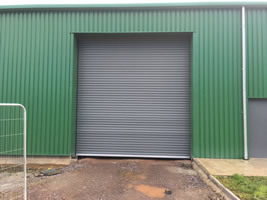 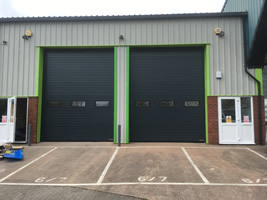 Having installed 1000's of roller shutters for shops, offices, industrial units, warehouse and factory units in Western Super Mare and all over the South West. 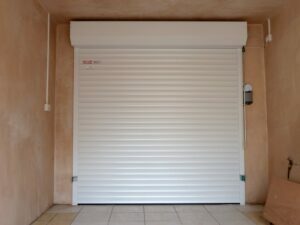 Similar to residential roller doors, our industrial roller shutters come on all different sizes, colours and opening systems.